Here is a free sampling of articles from the magazine that has been providing readers around the world with inspiration and information about natural family living since 1976. 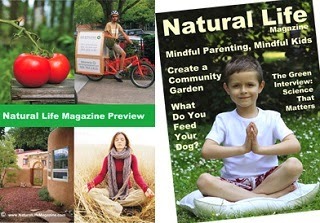 Your Natural Life Magazine subscription brings you a year's worth of unique, informative, thought-provoking, unbiased, and inspiring articles about green living, organic gardening, sustainable homes, wellness, natural parenting, green economics, and DIY. Comes in digital format emailed directly to your inbox. We are very excited to have you aboard. However, I do have some disappointing news. Due to overhwhelmingly high demand, we have exhausted our limited supply of free gifts for new Action Network members. We want you to know that your participation in our online community is still very important to us—and we hope you feel the same way.